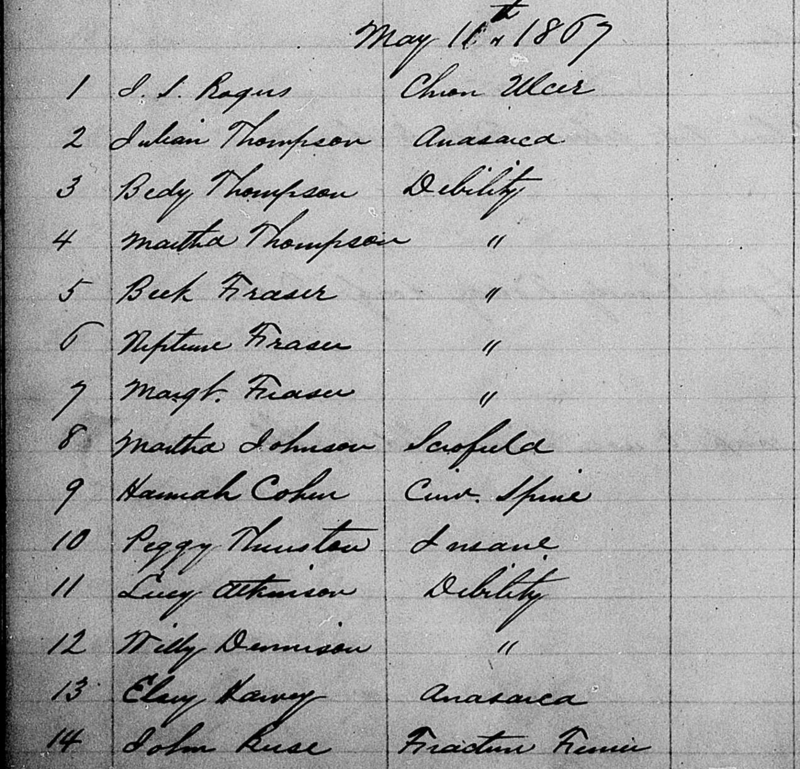 “South Carolina, Freedmen’s Bureau Field Office Records, 1865-1872,” images, FamilySearch (https://familysearch.org/ark:/61903/3:1:3QS7-89ZG-DQFZ?cc=2127881&wc=MFH2-WPD%3A1017929401%2C1017949701 : 21 May 2014), Georgetown (hospital) > Roll 78, Daily register of patients, May-Jun 1867 > image 1 of 38; citing NARA microfilm publication M1910 (Washington, D.C.: National Archives and Records Administration, n.d.). These records were abstracted by Alana Thevenet. 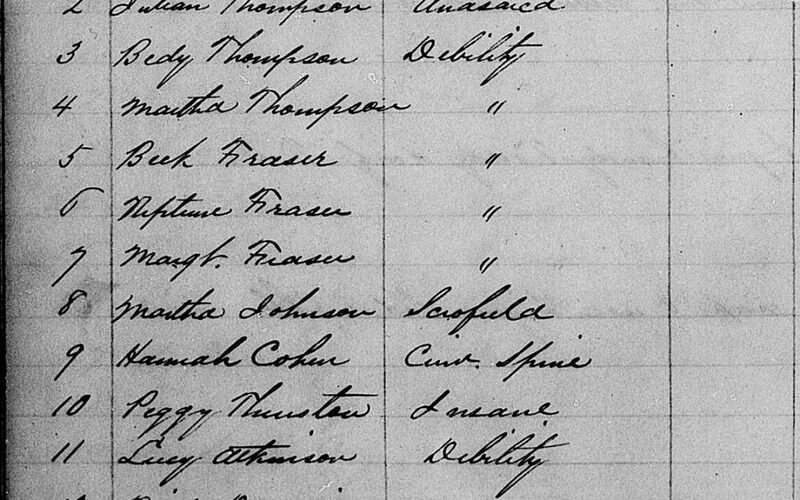 You may view images of the original documents here on FamilySearch. Freedmans Hospital near Georgetown, S.C.
[The same names as above appeared on the register.